Have you ever wished that you had a system which was totally reliable and didn't require tweaking to sound good? And that it would always serve the music regardless of what you wanted to listen to? And that it didn't cost you a fortune to acquire? A HiFi system designed for grown ups - that's what a lot of music lovers wish for. Including me. While traveling on business to Portland/Oregon a couple of years ago, this topic was on my mind. En route to Portland's International Airport to catch my home-bound Horizon Airlines flight, I had about three hours of free time. I dropped in on a HiFi shop called Stereotypes [operated by Teri Inman, one of the rare woman proprietors in audio, a bona fide Jazz enthusiast with a homey, service-oriented establishment that ranks a 10 on the audio shop Richter scale; and I'm not talking subwoofers - Ed.]. In their front demo room, Stereotypes had ProAc Tablette Signatures loudspeakers and a Naim NAIT 3 integrated amplifier set up. 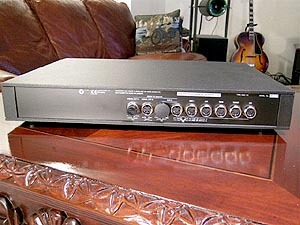 I owned ProAc 2.5s at the time so was familiar with ProAc's 'house' sound. 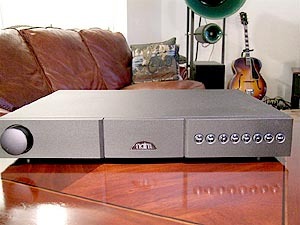 However, I had never before seen or heard Naim gear. I was extremely impressed with how the Naim NAIT 3 made music with these celebrated British loudspeakers. 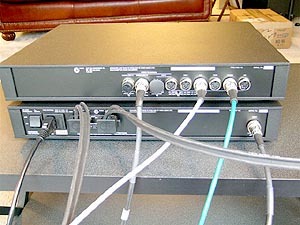 The rest of the equipment stack included a Naim compact disc player, a Flatcap power supply, and all Naim cables and interconnects. I almost missed my flight because I was enjoying myself so much listening to this ProAc/Naim combo. I totally lost track of time and had to make a mad dash for the airport, getting to my departure gate only moments before they shut the doors. Damn close call - but what fun! Remembering that experience at Stereotypes, I mentioned to Srajan how I'd like to review the latest Naim NAIT. Our Editor, bless him, contacted Chris Koster at Naim USA to see if a review of the latest Naim integrated, the 30-watt NAIT 5, could be arranged. Chris, justifiably proud of the positive press the various versions of the Naim NAIT hd received over the years, suggested instead that I check out his entry-level separates. He considers them relatively undiscovered gems in the Naim line-up: The Naim 112 preamplifier and NAP 150 amplifier. 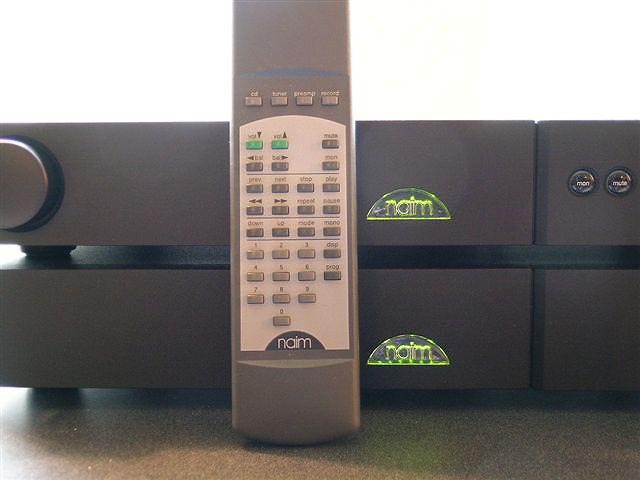 The $1250 Naim NAC 112 preamp arrived in the new 5-Series die-cast chassis with 6 inputs and included the remote control Narcom 3 handset. The $1,550 NAP 150 also uses the Series 5 chassis and is rated at 50 watts into 8 ohms. 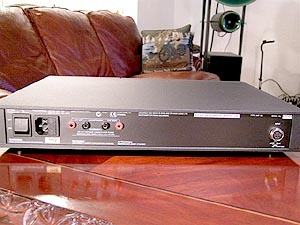 The NAC 112 can either be powered by an external Flatcap 2 power supply, or by the NAP 150 amplifier - and direct-connect is how I reviewed it. I thus considered the 112/150 team a more powerful two-chassis NAIT since I didn't go offboard to the Flatcap 2. The price is a fair step-up. From the real NAIT 5's $1550 30 watts, one goes to $2800 for the 50-watt pre/power duo. I had just gotten home from lifting weights at the gym the day the Naim gear arrived. The guys at Naim-USA did a nice packing job, which should give customers confidence that their new treasures will arrive intact and unblemished from the hardships of the freight process. I unpacked the NAP 150 amplifier first and noted how heavy and solid it was. The NAP 150 felt like picking up one of the big 45-pound iron plates that I put on the bench-press barbell bar - solid, heavy and satisfying. I unpacked the NAC 112 next and it too shared the clean, quality, solid, masculine look of the NAP 150. I placed the 112/150 combo in my Billy Bags equipment rack and hooked up the SNAIC 4 umbilical cord between the two. Naim designs their amplifiers around their in-house speaker cables and recommends exclusive use of their own wires to avoid amplifier damage. 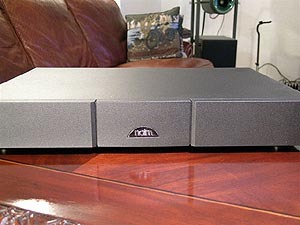 Naim-USA sent along a nicely terminated bi-link pair of NACA 5 ($10/ft) to use with my review-loan Harbeth Monitor 30s. Naim champions DIN connectors rather than the more ubiquitous RCA or XLR connectors seen elsewhere. 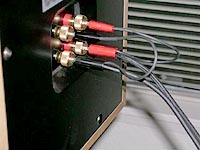 Since I don't own source components with DIN connectors, Chris sent along two pairs of 2-RCA-to-DIN Chord interconnects: The Chord Chrysalis ($90 for 2 meters) and Cobra 2 ($110 for 2 meters) which I used with the Audio Logic 2400 vacuum tube DAC and just-reviewed Magnum Dynalab MD-90 Triode FM Tuner. Naim-USA recommends the $55 Wiremold L10320 outlet strip whose fact sheet proudly states that it has no switch contacts, indicator lights or passive protection devices that could compromise the AC mains power quality feeding the Naim gear. 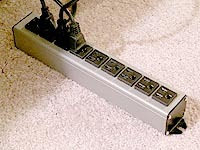 The 10320 has nine series (rather than parallel) connected outlets wired up with 1.25" of 14-gauge copper wire for each hot, neutral, and ground contact. As a result of the series arrangement, Naim -- because it makes a "substantial" difference in final sound quality -- recommends you plug equipment into the strip in specific order: Power amp first, preamp second, sources last. During active duty, the Naim logo on the components' front panels light up tastefully backlit in green to let you know that power is flowing through the system. On the preamplifier, the selected source's corresponding button also lights up to confirm which input is active. 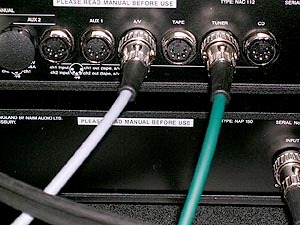 These selection buttons are prelabeled monitor/mute; compact disc; tuner; tape; audio visual; auxiliary 1 and auxiliary 2. The Naim 112 also comes with the well thought-out Narcom 3 remote that allows adjustments of source/ monitor selections, volume, balance, and system mute. It also allows control of a Naim CD player or tuner should you enjoy a complete Naim system. There is one aspect of the remote that could be improved - lighting. Backlighting would aid in finding and using buttons during serious black-out listening sessions. To break in the Naim NAC 112 & NAP 150, I fired up the Magnum Dynalab 90 Triode FM tuner and Harbeth Monitor 30 loudspeakers and let them play Northwest Public Radio NWPR 89.1 for a few weeks before doing any serious listening. Naim owner's manual states that sound quality continues to develop for five weeks. I noticed that the sound improved considerably over the first two weeks and only marginally after that. During this break-in process, I already found myself really distracted by the engaging music-playing ability of this combination of gear. I decided to sit down and sample a little music for pleasure. Alban Berg's Lyric Suite by the Juilliard String Quartet [Sony 66840] just so happened to be playing on Northwest Public Radio through the superb Dynalab triode tuner. So riveted was I by the music that I could barely concentrate on anything else -- like the sound -- but when I did focus, it occurred to me how right it seemed. What I noticed in particular was how accurately the texture of bow on strings was rendered. It made it hard imagining it any more perfect than heard that night. When the Berg piece ended, I jumped up out of my listening couch and turned on my notebook computer to jot down my perceptions and make a note to buy this Berg disc at the first opportunity! Then NWPR started playing George Bizet's Carmen Suite #1, with Mark Ermler conducting the Royal Philharmonic Orchestra [Intersound 2802]. Again I was barely able to concentrate on writing. I abandoned the computer, sat down in my couch instead and listened to music. The Naim gear really nailed the emotive and musical aspects of playback, making for a very engaging experience. There's a certain enticing directness to the sound that SET fans will recognize and appreciate. Not that the Naim combo sounds like an SET (and it would be a big SET at 50 watts), but it does have that very immediate and involving quality one expects from superior SETs like my Fi amps. When you listen through the Naim gear, it's almost impossible not to enjoy what you're listening to. The overall character of the Naim 112/150 combination with the Harbeth Monitor 30 was slightly warm and dark, albeit in a very natural way, with a perspective that put you up close and personal with the performance. For example, while listening to Pearl Django's album of string jazz, Avalon [Modern Hot Records MHR005], I could easily imagine listening to the band live in a jazz club while sitting a couple of tables away. The playing is wonderfully evocative, with recorded string tone that's gorgeous, natural and emotive. The Naim allows you to hear each musician's contribution to the whole.